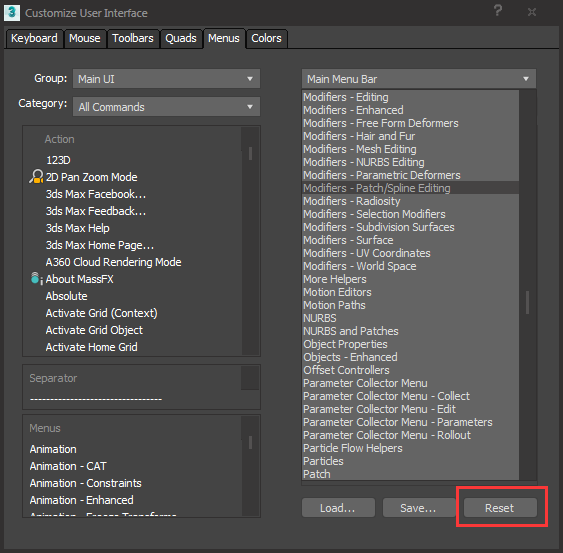 CGTalk | How to reset menus in customize user interface? How to reset menus in customize user interface? Is that possible to reset menus in customize user interface?I can’t find a way to do that,my script seems creates too much duplicate customize menus when installing,so I decide to remove them,any help?